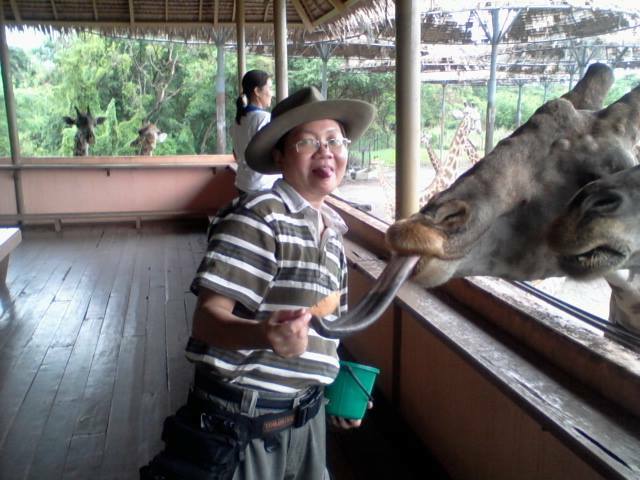 Though Safari World Bangkok is more of a zoo and aquarium, they do have a few rides to amuse adults and children alike. There are also several animal shows that are very exciting and a few small museums within the park for an egg hatchery and reptile section. However, the real gem of Safari Park is the Open Zoo concept where the animals are not kept in individual cages. All the animals roam free in a savannah like environment with the only defence for prey to be kept away from the predators is an electric fence. The lions, tigers and bears have full view of their natural prey such as the gazelles and other wildebeest. Humans are kept safe in the confines of their cars or buses and not allowed to step out while driving through the vicinity. You can find animals running alongside your car or grazing in the open right next to you! There are very few open zoos outside of Africa but you can experience an open zoo in Thailand right here in Bangkok. A theme park owned by the Cartoon Network franchise, Cartoon Network Amazone is a theme park in Pattaya and one of the most popular waterparks in Pattaya at the moment. Boasting an impressive collection of extreme water slides, this place is for thrill seekers who love heights, speed and water all rolled into one. You can also find some of your favourite cartoon characters here such as Ben 10 and the Powder Puff Girls to take some great personal pictures. This theme park also boasts the world’s largest aqua park for water fun. The heart stopping Ben 10 water ride here is the XLR8-TOR which has an 18 meter vertical drop before accelerating at top speeds and ending up in a huge splash pool. This ride is not meant for the faint hearted but if you love a combination of free fall and speed, this is the extreme waterslide ride for you! 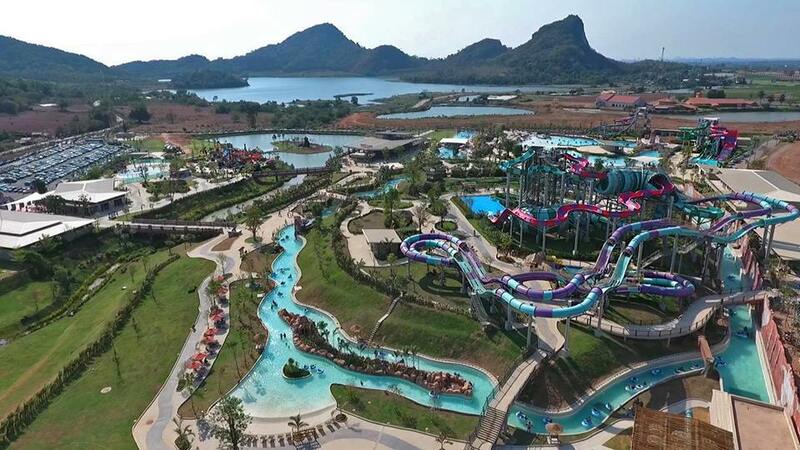 The Rama Yana Waterpark was recently opened in Pattaya and is the largest water park in South East Asia. 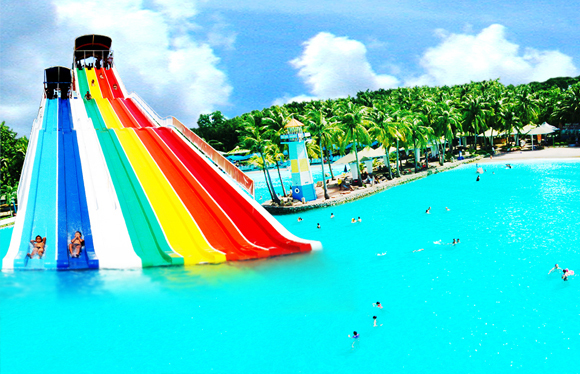 It has 22 different rides of which four are unique only to Rama Yana waterpark. This theme park has thought of everything from thrill seekers to kids and those who are not into waterparks. There is even a floating market within the park to amuse waiting parents and friends, a river walk for relaxation and an island by the river for those who want some peace to enjoy the scenery. However, the ride that is of interest here is the Aqualoop. This water slide has a remarkable 360 degree loop, which means you have to reach an unbelievable top speed to make this loop, giving you all the elements of driving in a F1 car and experiencing the pull of gravity as you defy the pull to complete the loop. A truly remarkable experience which will have you going for round two. The Scenical World theme park in Khaoyai is a truly unique theme park as it combines the great outdoors of Khaoyai among the mountains of the province while providing fun for the whole family. This theme park is a combination of a wet park and a dry park, so visitors here have the option to select either of the parks or both for better discounts. The beauty of the Khaoyai Mountains in the background and depending on the time of the year that you visit will provide different climates for your fun and excitement. During the summer months of March till August it is mostly hot and a great time to make use of the water park and in the months of November till February it is the cooler months where temperatures can drop to about 19 degrees Celsius, making it a great time to play in the dry park and if you do not mind the slightly cooler waters to play in the wet park. 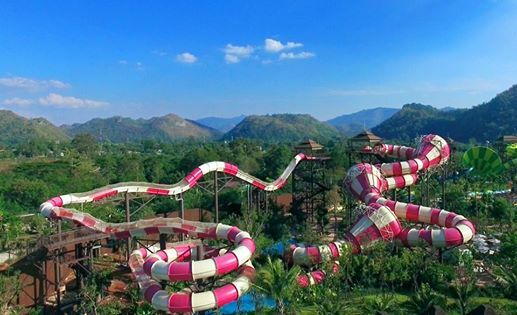 Scenical World theme park has one of the longest water slides in Thailand which snakes through the greenery providing you with a magnificent view of the Khaoyai landscape. There is also the Human Ball for you to play with which enables you to roll down a green slope on the inside of a huge ball. This is fun as you roll and bounce about in the huge ball in relevant safety from any injuries. However the speciality of this park is not just all the rides and fun activities but mostly the great view and mountain air as this area has a world record for the cleanest air in Thailand. While there are many other theme parks in Bangkok and some of them newly opened such as Dinosaur Planet, Siam Park City theme park still stands out as one of the better theme parks for rides and entertainment in the city. Entrance ticket pricing makes it an affordable attraction for the whole family and with 5 different zones to play in which includes a water park and family park, it still remains the most popular theme park in Bangkok for foreigners and Thais alike. The actual highlight of this theme park is the ticket pricing which includes all rides in the price of the entrance ticket and can keep the whole family entertained for a whole day. Therefore, Siam Park City is one of the best price theme parks in Bangkok for family entertainment. There are also more than 40 over combinations of rides and games for children and adults to amuse everyone alike.